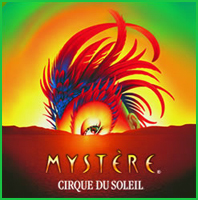 This entry was posted on Tuesday, July 13th, 2010 at 12:58 pm	and is filed under community, Events, News. You can follow any responses to this entry through the RSS 2.0 feed. You can leave a response, or trackback from your own site. Wow this is pretty cool and congratulations guys on a job well done! I had no idea others 'felt the love' so much for NiGHTS lol, but its great that there is a whole community on here. I'm pretty speechless. This totally made my day/month/year. THANK YOU, NAKA-SAN! And thank you, DiGI and TRiPPY. … no, wait. I can still THANK YOU. Wow that was a cool interview! it would make sense that nights is genderless that the game about nights wont be just for girls or boys but are both. i love Nights so much because it has what i always loved since i was childhood, have nice dreams, live in peace, no swear words, magical powers and all the soundtracks were so sweet especialy ' dreams dreams kids version song. theres is a mascot that is very, very similer to nights. theres a character from namco name 'Klonoa'. Since now Sonic adventure is rereleasing to XBLA im really, really hoping to see nights from saturn return to XBLA to give all nights fans another chance to play and even new gamers who hasnt know about the character yet and even players who plays xbox only just for achievements can checkout to try nights and hope to like the character for the future. Amazing! This interview is great! Yuji Naka has touched the lives of countless people and I am ecstatic to read his thoughts on his masterpiece. That was… I'm reading this AGAIN. This is amazing, and it makes me feel really good to see that NiGHTS is not just another creation, but just as loved and appreciated by Yuji Naka as it is by us. Thank you guys, and thank you Yuji Naka, for the interview! …And if any of you says "IF HE LOVED IT SO MUCH HE'D MADE A SEQUEL", I will personally scrape out your brain pocket with 3D controller. This is great! I didn't know Mr. Naka was no longer part of Sonic Team, though. But this still realy great! Now…If they made a NiGHTS OVA… Or an anime atleast. Nice read! About the 'PC version' of NiGHTS. Some years ago SEGA launched a couple of SEGA Saturn-titles *running with an emulator* on the Japanese PC-market. So this: http://game.watch.impress.co.jp/docs/20030321/sega.htm isn't the rumoured 1990 PC version, it's 'just' the Japanse SEGA Saturn version emulated. 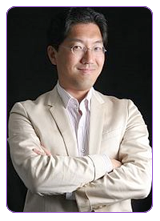 Yuji Naka is such a respectable man. I'm so glad he agreed to this interview. So many things that were unknown. My mind's pretty much blown at this point. Um, take a look at that B-Club signboard at the NiGHTS PC launch. It also has an ad for Azel Panzer Dragoon (PD Saga). Could it be that Saga, which Sega claims to have lost the code for, also got a PC port? There's also signage for PD Zwei in another photo (another game they claim to have lost the code for). If someone could translate the text next to these images, we might be able to find out what's up with 'em. Aside from that, very interesting interview. Thanks! JoD never felt like a true sequel to me. Would have loved an updated NiD for the Dreamcast then, was so fitting for that system's theme. I am speechless at this Interview. 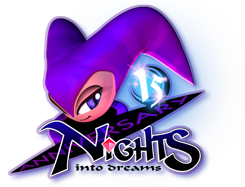 I really really hope that Nights gets a port to the 3DS. From what I remember, the PC version was for some subscription download service in Japan and it was just using a well-known Saturn emulator called GiriGiri (rebranded to be official Sega software, of course). Fantastic interview! Thanks to you and of course to Yuji! Awesome Interview…and I can't wait to play a port of NiGHTS~! HOLY CARP. What is this!? XD This is absolutely incredible. You guys never cease to amaze me with what you can get out of the big guys, ahahaha. I'm so happy for you. And of course, a million thank yous to Yuki Naka for agreeing to the interview, and Kichi and her mom for translating. Awesome stuff! Seriously that is a big ask and well it shows that it pays to be persistent and patient. Thank you so kindly for sharing a piece of history in the making, even though I'm not as big of a NiGHTS fan as you guys at NiD.com I'm really thrilled that you had this amazing opportunity to interview the man behind the production and creation of NiGHTS. I hate you guys, BUT IN A GOOD WAY hahaha, you've been working so hard on the website for such a long time and you deserved it! Having the chance of having a little chat with Yuji Naka is still a huge dream of mine… Lucky Bastards! hahahaha! – Trust me I've been trying to track him down for a while. Last I heard he was with Cavia. Anyone know if he's moved since? Also, Elson, 3 weeks, woah time has flown by @_@ 2010= fastest year ever. See you and the guys at SoS. Congrats for this!! i really loved the interview, i learned a lot of things that i didn´t know, pretty interesting! 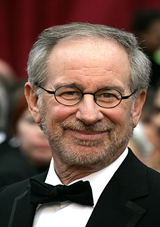 Is awesome that he acceed to such a nice interview good job! I didn't have played neither the original nor its first port on Wii. I do not own both versions, but I have seen so many videos on many portals like Youtube. Nice game, really. 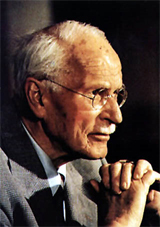 Wish, I could have played, if it is relying on a scientific view on dreams by Jung (dream theory). I would like to recommend the game for my Japanese teacher, Dr. Kiyonaga, who is living in Halle/Saale and who studied art education, art science and aestethics. Because of his last study field, I would recommend it to him to play it as well as seeing some scenes of it. Please, Mr. Naka, leave a comment. My dream is to work as a translator for video games and the creators as well as their oppinions. I guess many of the Japanese creators are somehow misunderstood and I would like to tell others the truth!